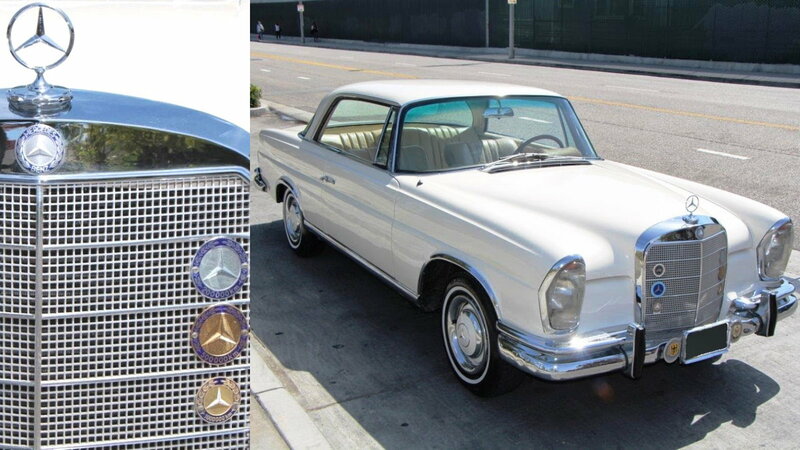 What is is about the inline six that made it the motor of choice of so many great cars? If you like the classics, Jaguar, Aston Martin, Rolls Royce, Datsun, BMW, Mercedes and other all used them, and in recent memory, the Toyota Supra and Nissan Skyline both used them, as well as many, many BMWs. If you are building a classically proportioned, long hood, short trunk, front engine, rear wheel drive car, the inline six cylinder motor was the obvious choice. V6 motors have only become popular since it is easier to package in front wheel drive, transverse engine compartments. 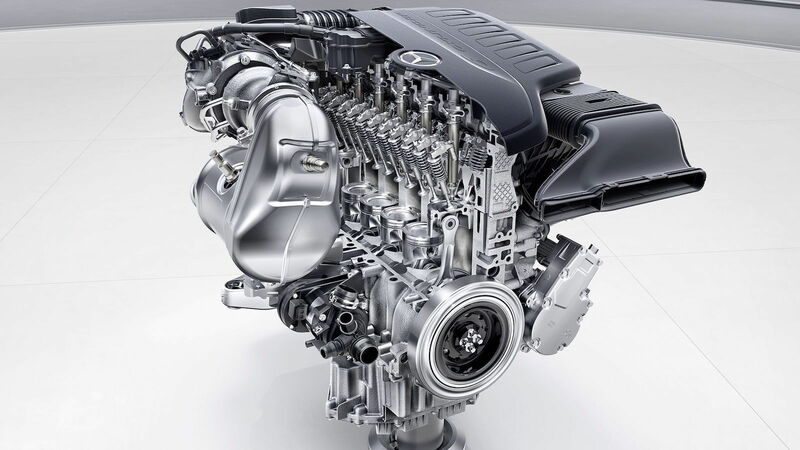 While this design issue may have ended its use in some of the other popular makes, Mercedes-Benz has decided to bring back a new series of I6 engines. >>Join the conversation about Why the Straight Six is the Ultimate Engine Configuration right here in the MBWorld Forum! A straight six, doesn’t suffer from vibration issues due to the polar rocking motion caused by traditional V block configurations. The six pistons, each firing at 120 degrees of rotation, balance themselves without having to resort to counter-rotating balance shafts like an inline four would. When one one piston goes down on its power stroke, one is nearly at the bottom of the stroke, and another is on its way up. 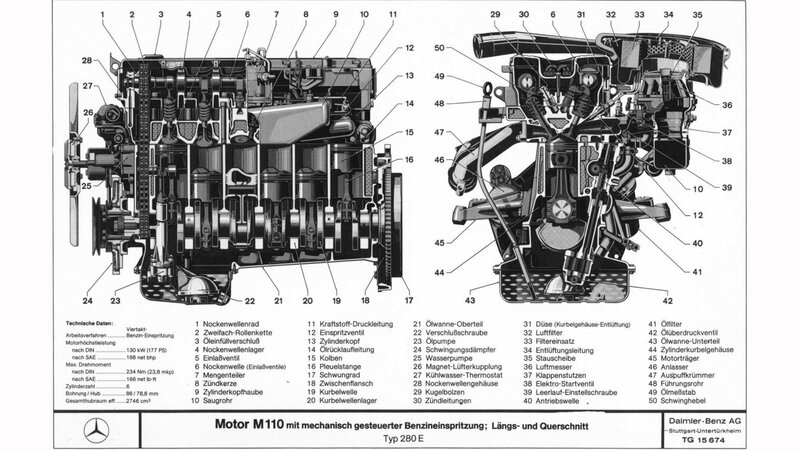 Other engines, V8s for example, rock back and forth because when one piston is at the top the opposite bank has one at the bottom, and they change direction at the same time. Any of your friends have an old 4.0 six powered Jeep? Slant six Mopar? Ford 300 six powered F150 truck? Reliable doesn’t even begin to do justice to how solid these blocks are. You could beat on them for days, and as long as you kept up with routine maintenance, you were almost guaranteed a 250k mile engine. Most UPS trucks until recently had a 300 Ford six powering them and would routinely do a half million miles before rebuilding. The perfect looking 1966 280E above have over one million miles on it, not kilometers, miles! Sure you’ve heard the saying, “horsepower sells cars, but torque moves them”. While this may be true for some cars, an inline six generally tends to shrug it off saying "why not both?" There’s a reason countless sport cars stayed true to the straight six design. The MKIV Toyota Supra housed an infamous 2JZ-GTE I6 engine, with a cast iron block and turbo, pulled from down low yet allowed for a fairly high 7200 RPM red line without a real power drop off. 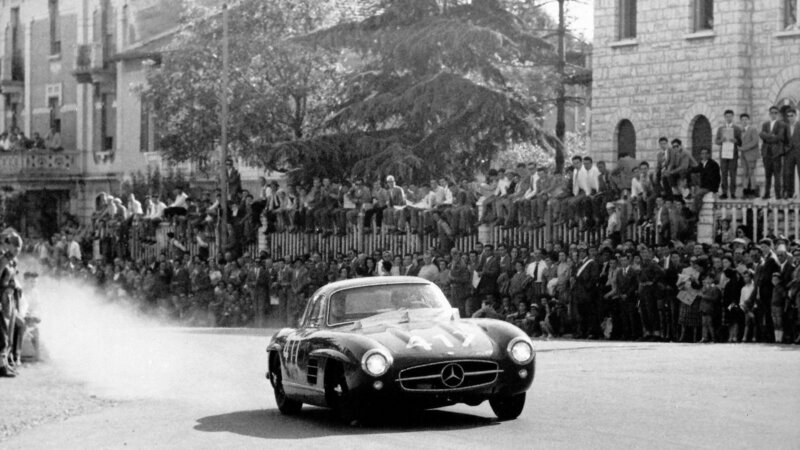 The Mercedes SL300 Gullwing racers had plenty of torque for getting out of corners, and a top end that made them plenty fast, but with a smooth predictable flow of power that never upset the chassis. 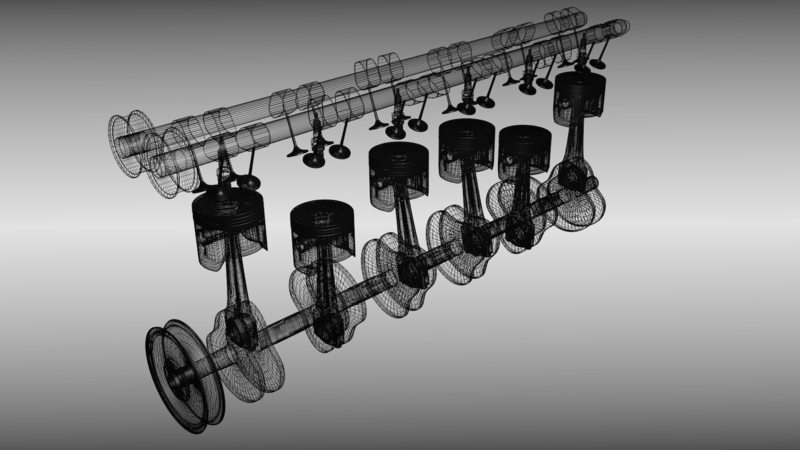 Due to their relatively simple design, straight-six engines are actually a lot cheaper to produce then V-blocks. V configured engines have two sets of heads and cams along with a longer cam drive, for an OHV. The block itself is a simpler casting too. This keeps the manufacturing costs down, which in turn should decrease the overall cost to the consumer. 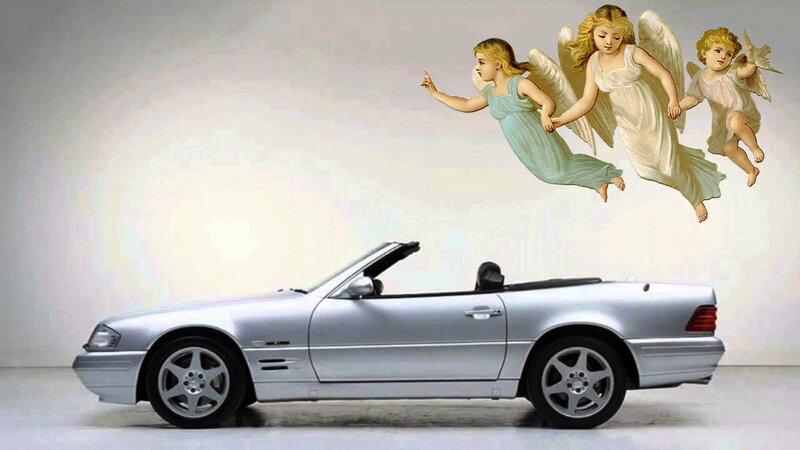 Sure a Jeep or a UPS truck does not sing sweet music when it takes off, but when you hear a BMW or Mercedes high powered straight six at full song it will give you chills. The symphonic sound of a tuned high RPM straight six has bee described as that of a choir of angles ripping through a silk curtain. Large German men have been know to shed a tear when they are forced to shift at redline and end the aria. The new Mercedes six, pictured above, is part of a modular family of motors, in both inline four and six configurations. An electric supercharger boosts the low end and a normal exhaust driven turbo boost the upper range for a smooth motor that makes power above its displacement class, plus gets better mileage. 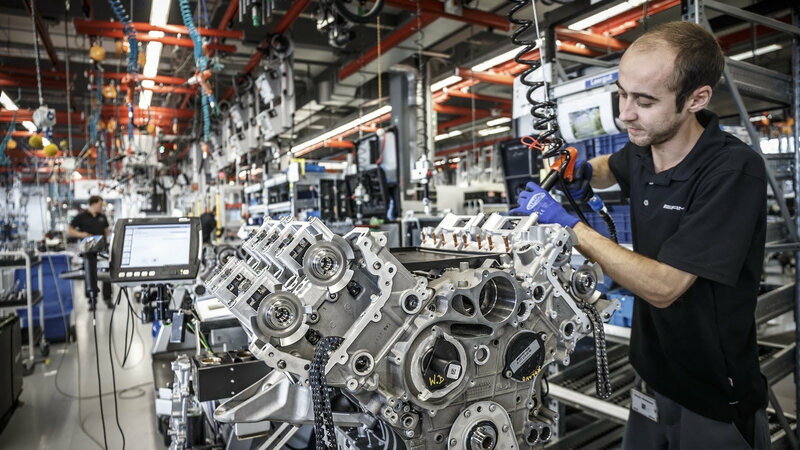 This 3.0 liter inline six is rumored to make more than 400hp and should be in the new S-class next year.